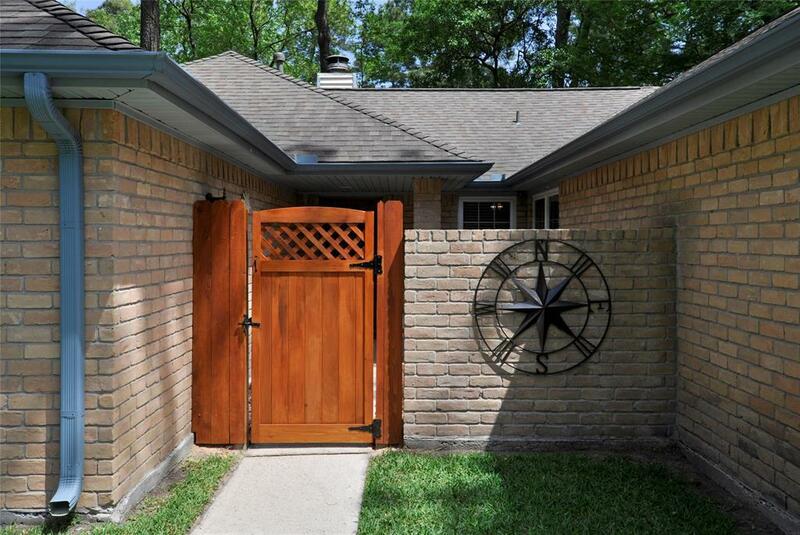 Great one-story living in central Woodlands location! New updates include custom Kitchen cabinets, granite counter tops, double pane windows, Pergola and flagstone patio, lighting, laminate floors in hallway & secondary bedrooms. 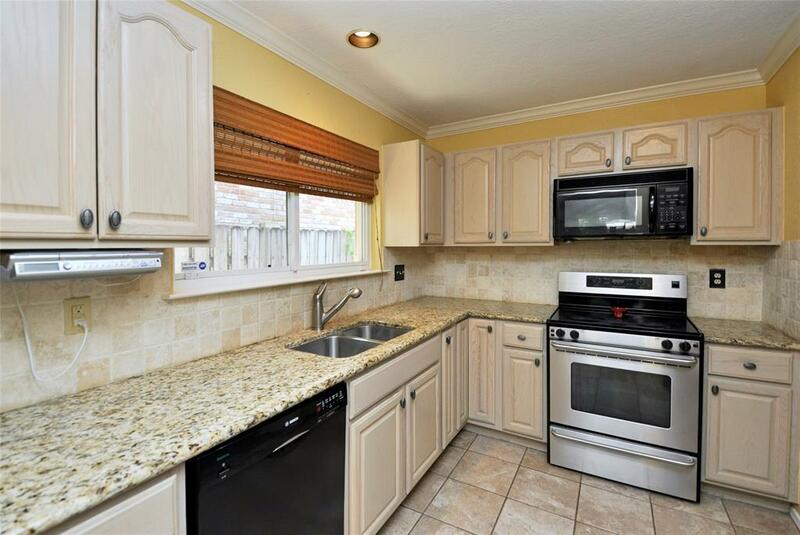 Kitchen has lovely tile back splash, crown molding, custom cabinets, granite, pantry and large eating area with buffet cabinet for extra storage. 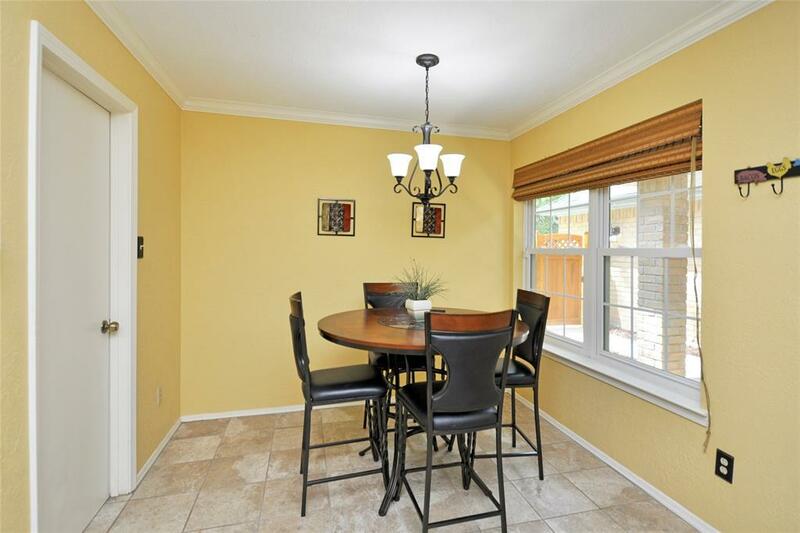 Formal Dining with crown molding and laminate flooring. Huge living area with vaulted beamed ceiling, floor-to-ceiling brick fireplace, laminate flr, recessed area for bookshelves or desk, sliding doors to back yard. 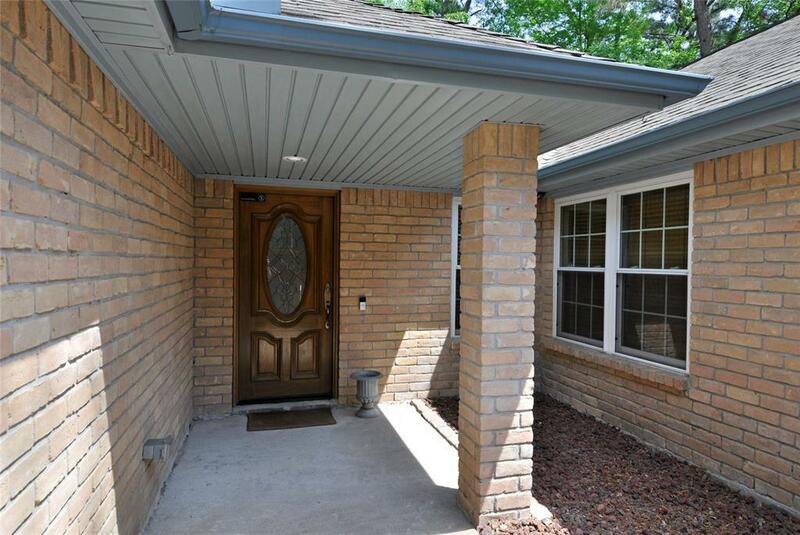 Master has laminate flooring, crown molding, & sliding door to patio. En-suite bath has extended solid surface counter tops, separate commode/shower/tub area, and huge walk-in closet with built-in shelving. Secondary bedrooms in private wing of home have laminate flooring and access to second huge bath. Outside is covered patio with Pergola and fire pit. Tile/laminate throughout except master closet.